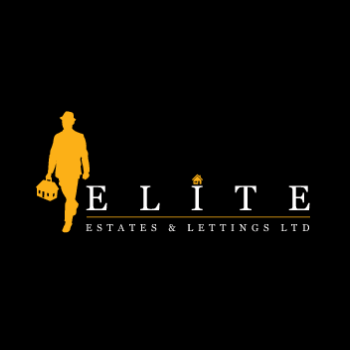 INTRODUCTION Elite Estates are delighted to market this magnificently transformed family home which was originally built as a bungalow in the 1970's. 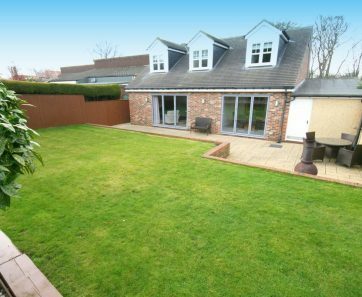 The current owner has transformed it into a stunning high specification dwelling with accommodation now over two floors, includes two sets of bi-fold doors to manicured gardens. 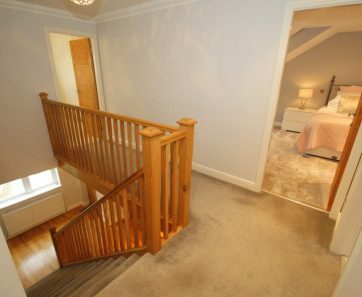 The impressive reception hall is complete with beautiful oak flooring and a feature oak staircase leading to the first floor as well as oak doors throughout the property. 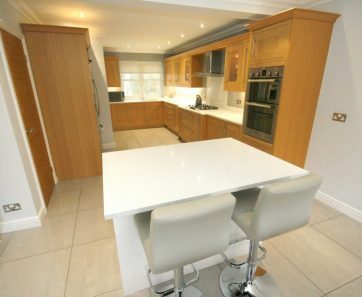 To the ground floor the formal lounge overlooks the private rear garden, the kitchen and open plan dining room boast a range of solid oak kitchen wall and base cabinets with white sparkle granite work surfaces and up stands, completed by stunning over sized polished hi-gloss floor tiles. 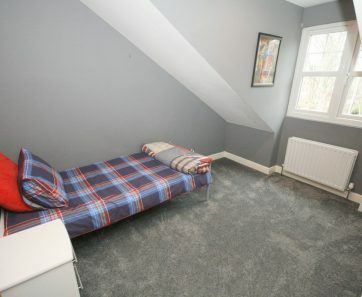 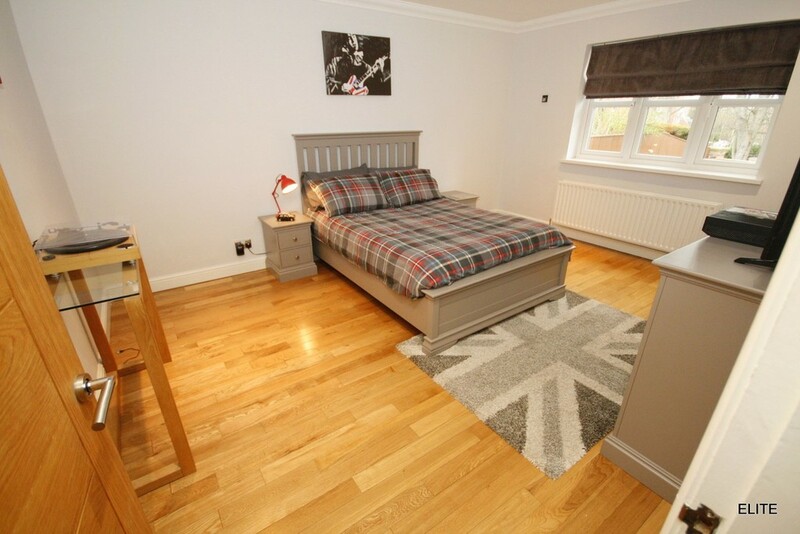 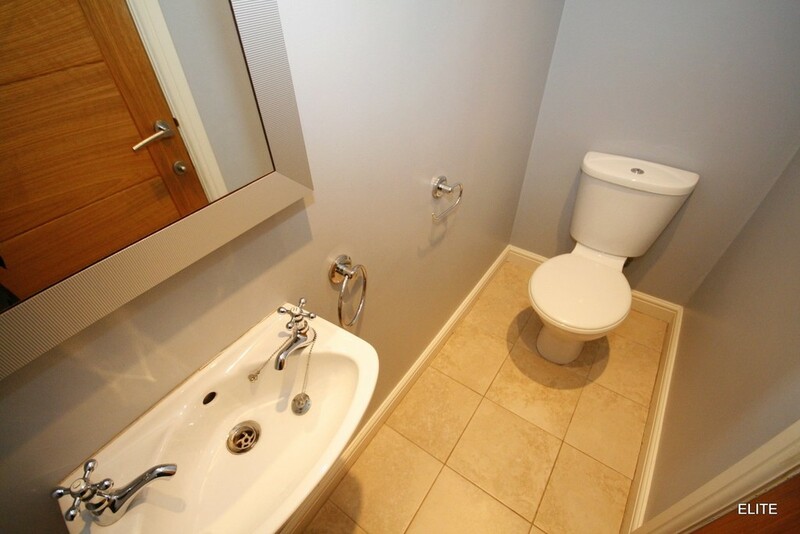 There is a double bedroom positioned on the ground floor and WC. 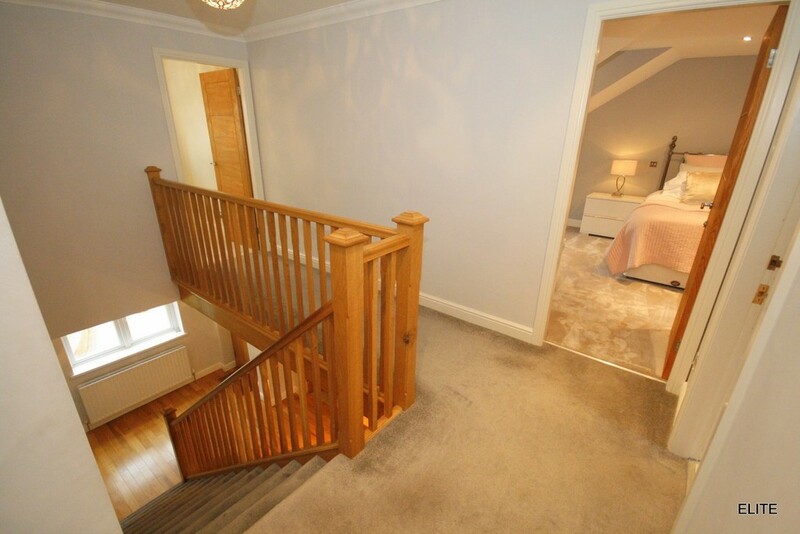 To the first floor is the magnificent Master bedroom along with bedroom two and three all with T-Fall roofs adding so much character. 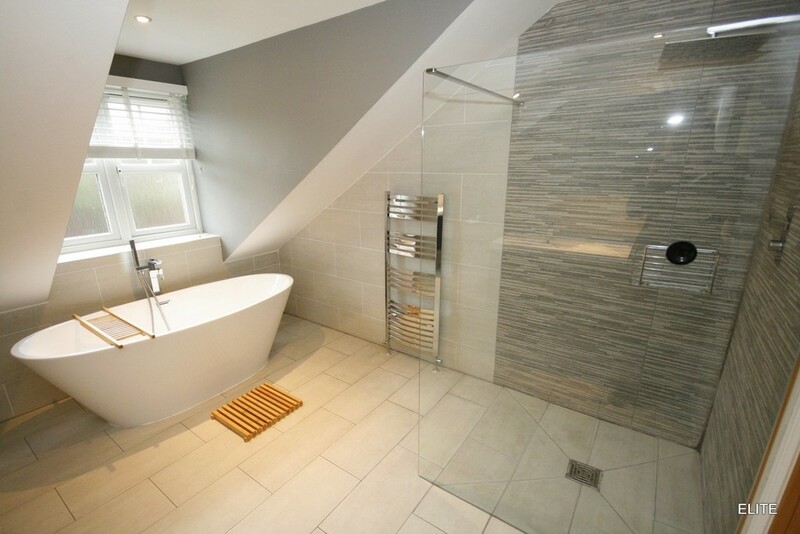 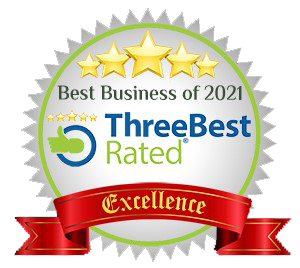 There is a stunning family bathroom with a double ended free standing bath, walk-in shower/wet area and two sinks housed within a stylish vanity/storage unit. 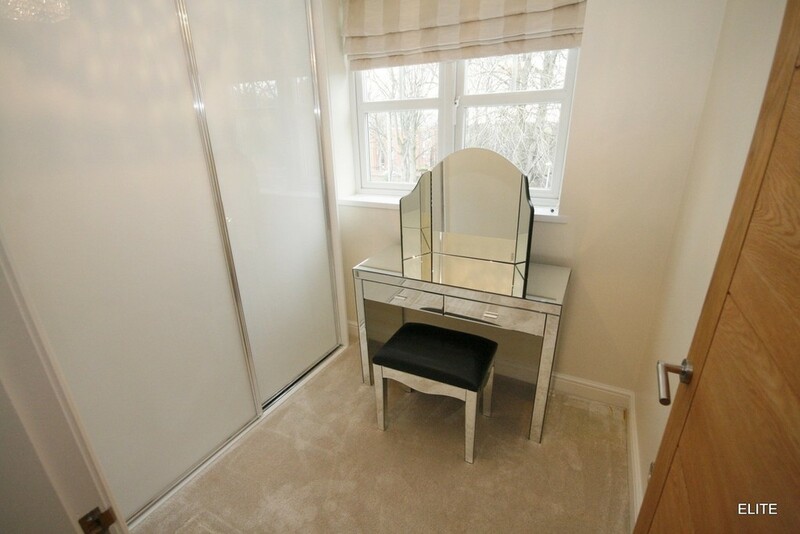 There is a home office to the first floor currently utilised as a dressing room. 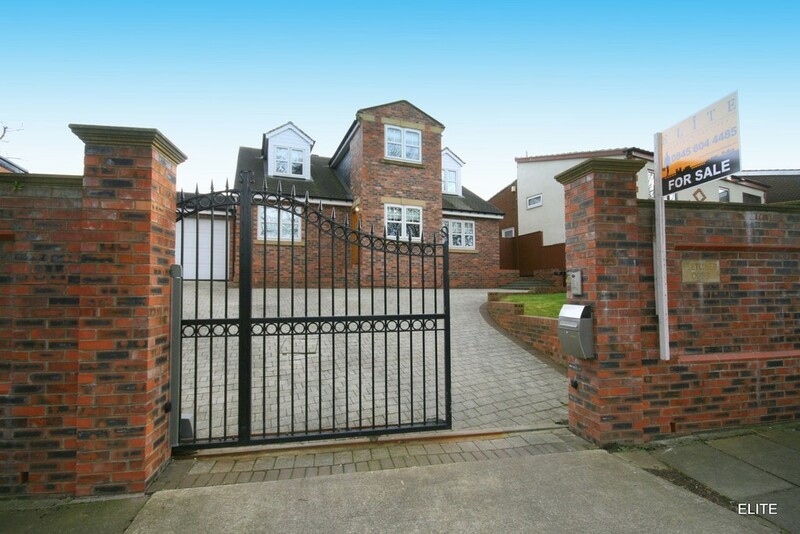 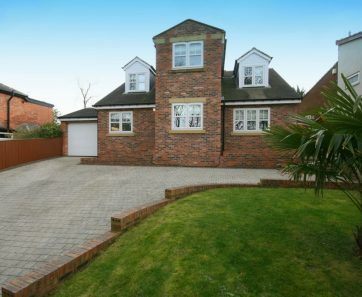 Externally to the front, ornate electronic wrought iron gates give access to the property and there is a block paved drive for extensive parking which leads to the DOUBLE LENGTH garage, whilst to the rear there is a fabulous private and enclosed South facing garden bordered by trees enjoying much privacy. 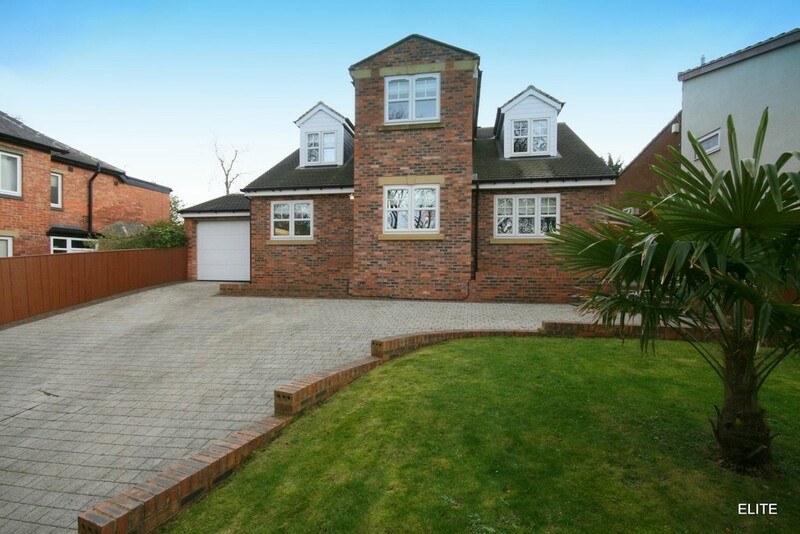 This elegant and stylish family home cannot fail to impress and early viewing is HIGHLY RECOMMENDED. 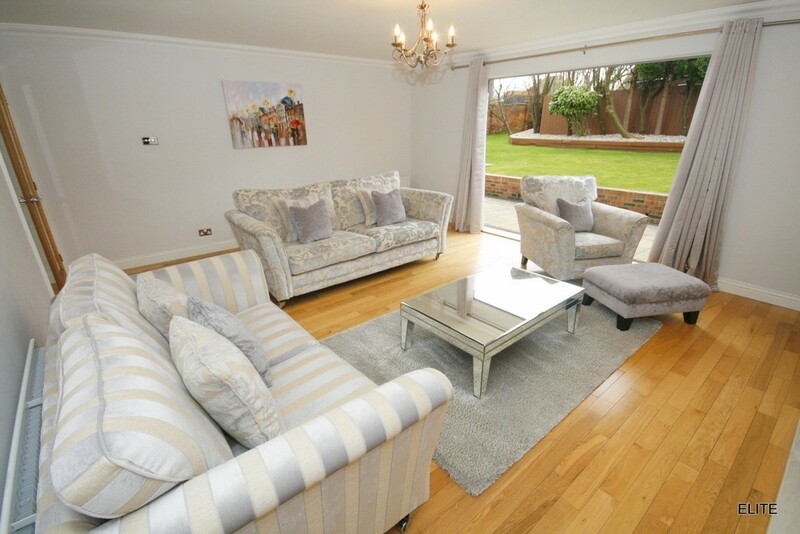 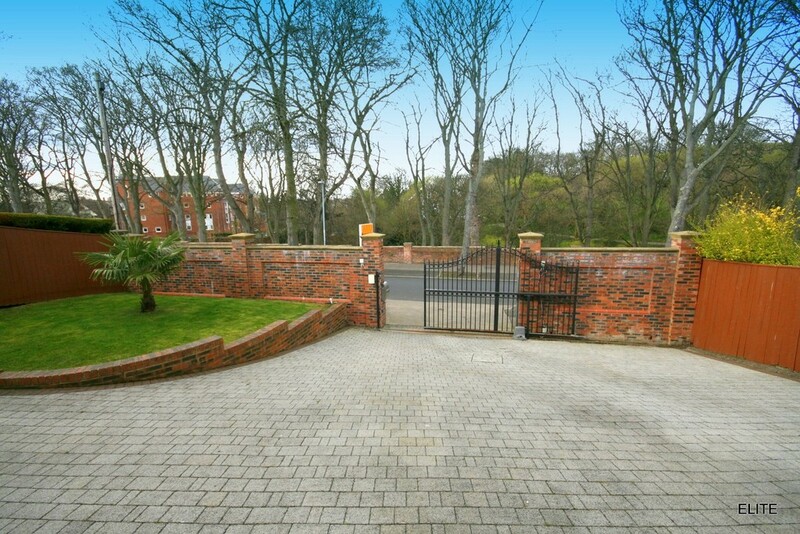 LOCATION Situated on one of the most prestigious sought after roads, Glen Path in leafy Ashbrooke commands an exceptional location providing easy access to local shops, well respected schools and amenities well as being within easy reach of Sunderland City Centre. 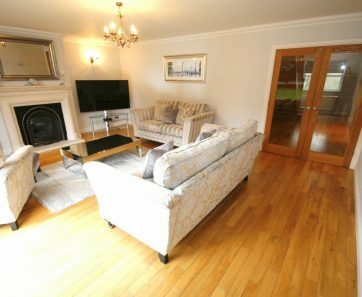 This lovely home overlooks Back House Park which is a natural arboretum with a large variety of trees and some of the city's largest mature trees, producing a wonderful display of autumn colour. 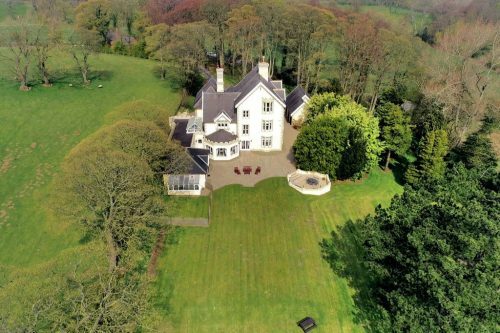 Renowned for its magnificent bulb display in early spring the park is overlooked by the University of Sunderland's Name Art College. 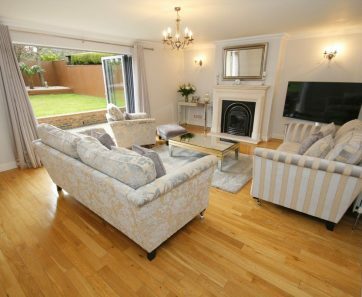 LOUNGE 20' 1" x 16' 0" (6.139m x 4.877m) The elegant formal lounge is located at the rear of the property, benefitting from a beautiful outlook over the private rear garden through bi-fold doors. 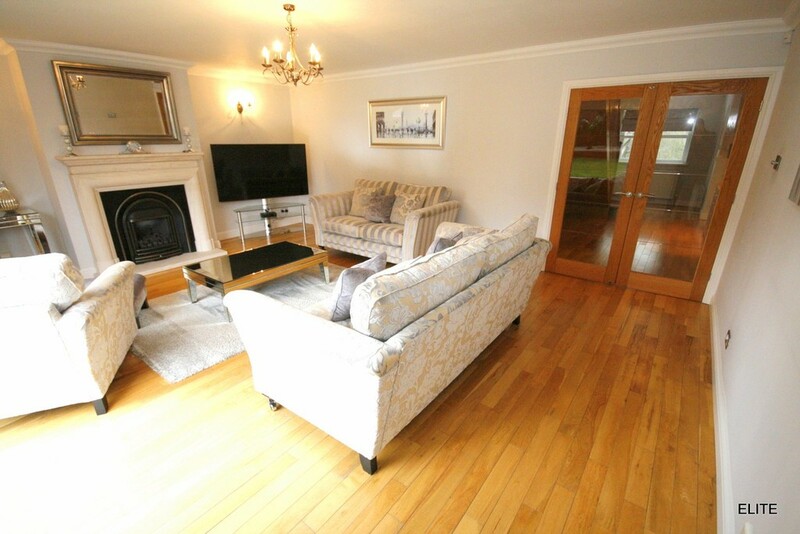 There is a feature fireplace with slate and cast iron inset, marble hearth and gas fire. 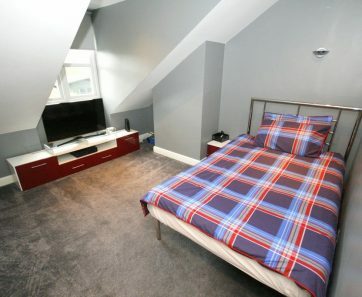 There is coving to ceiling, wall lights and a central light too. 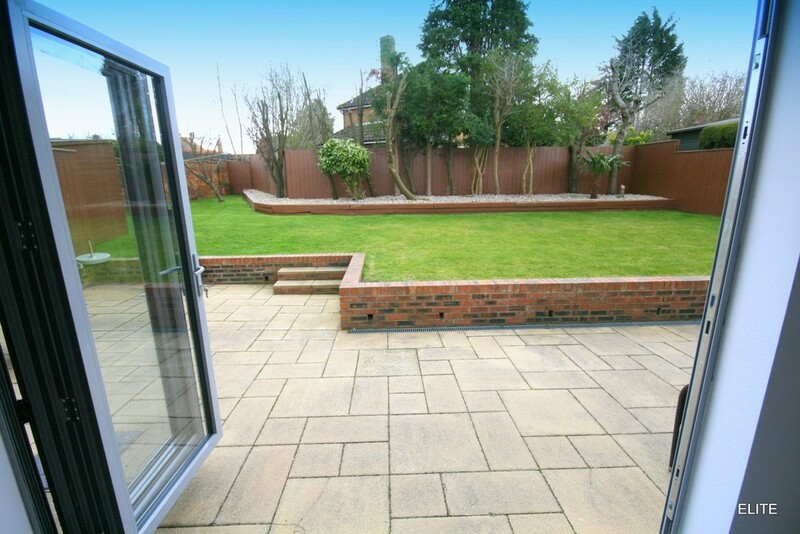 The fully glazed doors leading from the grand reception hall into the lounge not only gives a tremendous feeling of space but along with the bi-fold doors to the garden allows an abundance of natural light to flood through. 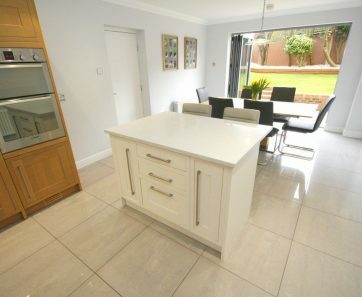 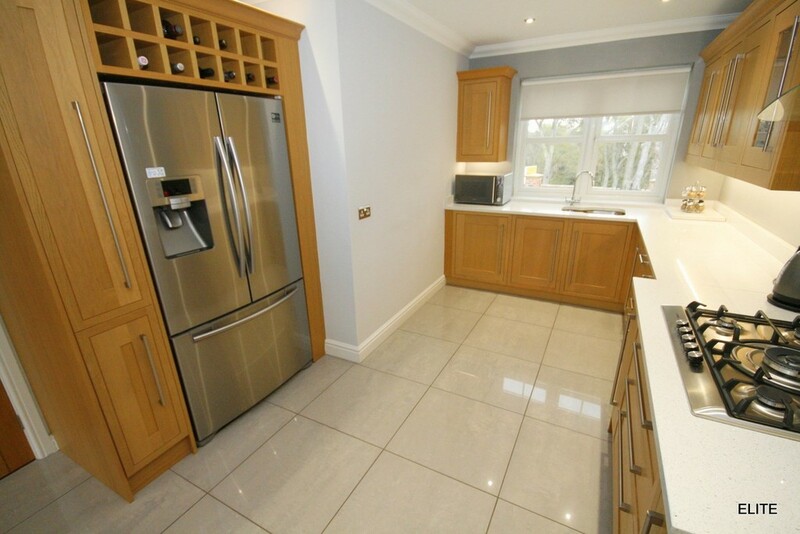 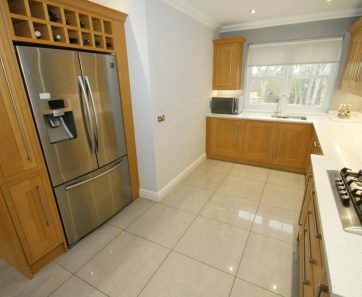 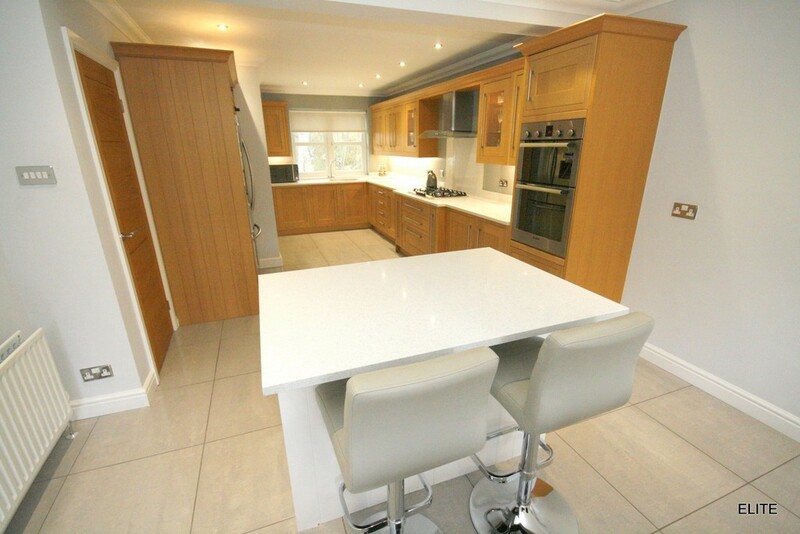 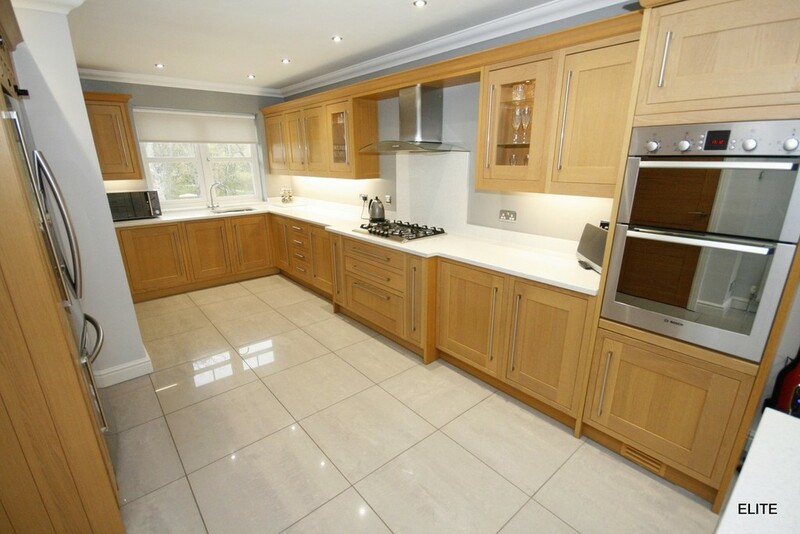 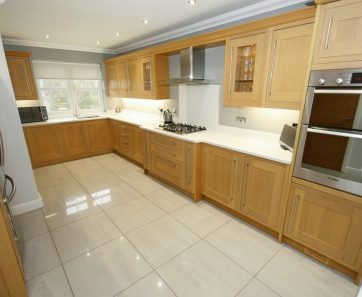 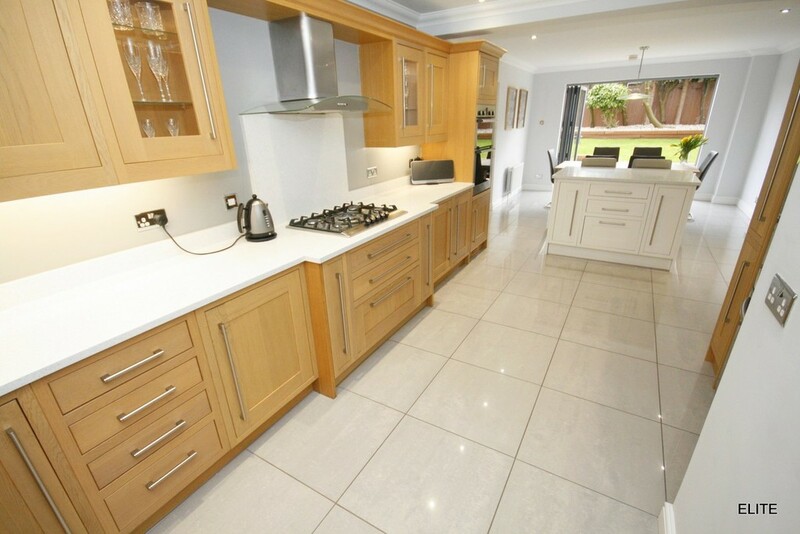 KITCHEN/OPEN PLAN DINING 32' 1" x 12' 2" (9.78m x 3.720m) A beautiful bespoke kitchen/open plan dining area complete with a range of solid oak wall and base cabinets as well as an island unit with breakfast bar. 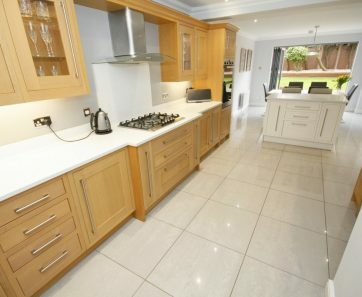 The kitchen includes Granite work surfaces, five ring gas hob with wok burner, contemporary stainless steel extractor fan, double stainless steel eye level oven, beautiful purpose built cabinet complete with storage and wine rack to house an American style fridge freezer, over sized polished high gloss floor tiling, coving to ceiling and spot lights to ceiling. 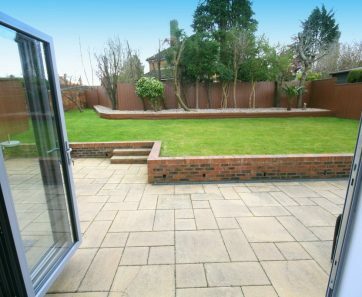 To the front there is a window overlooking the picturesque park whilst to the rear, lovely views from the bi-fold doors across the landscaped garden. 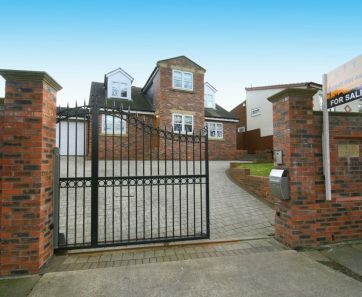 There is a door for easy access to the double length garage and laundry area too. 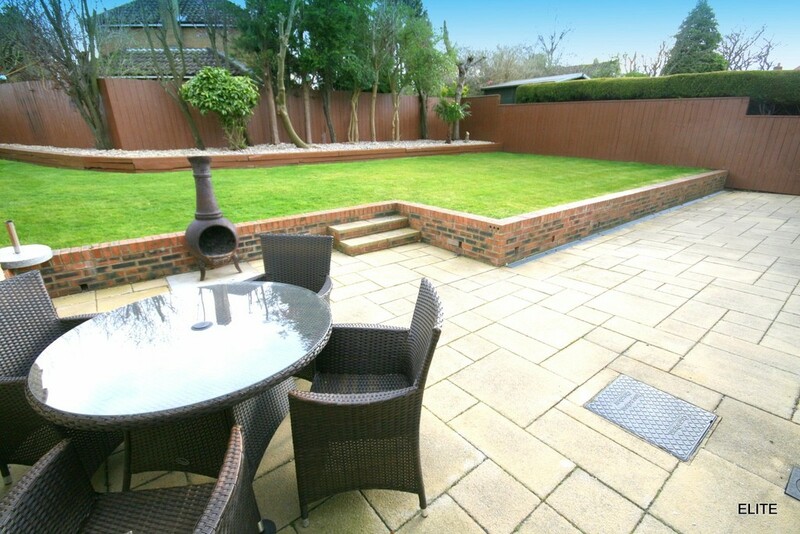 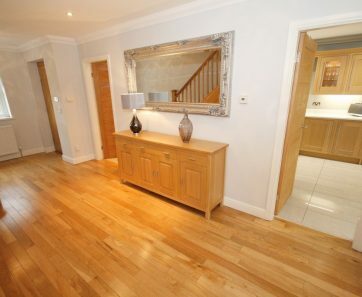 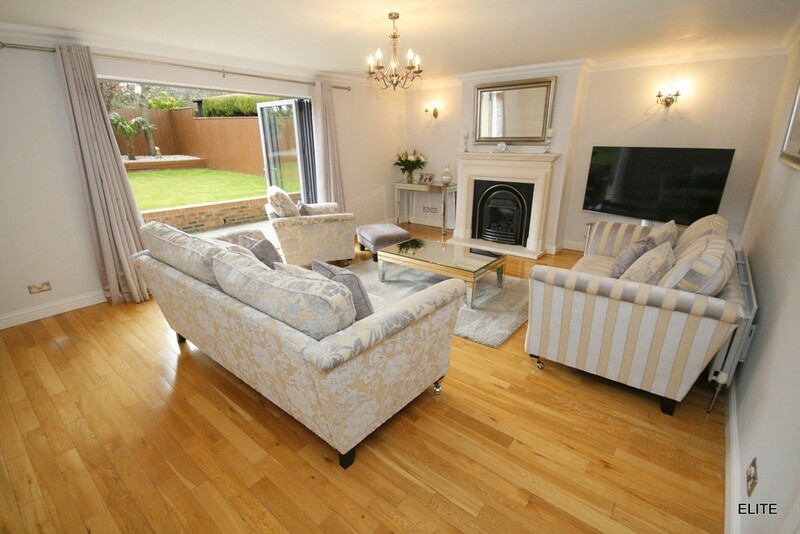 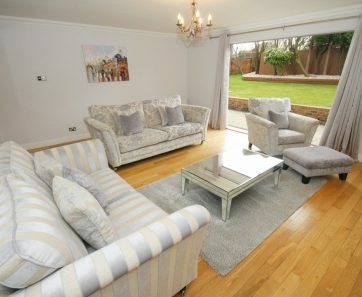 Without doubt this stunning space is perfect for socialising and entertaining. 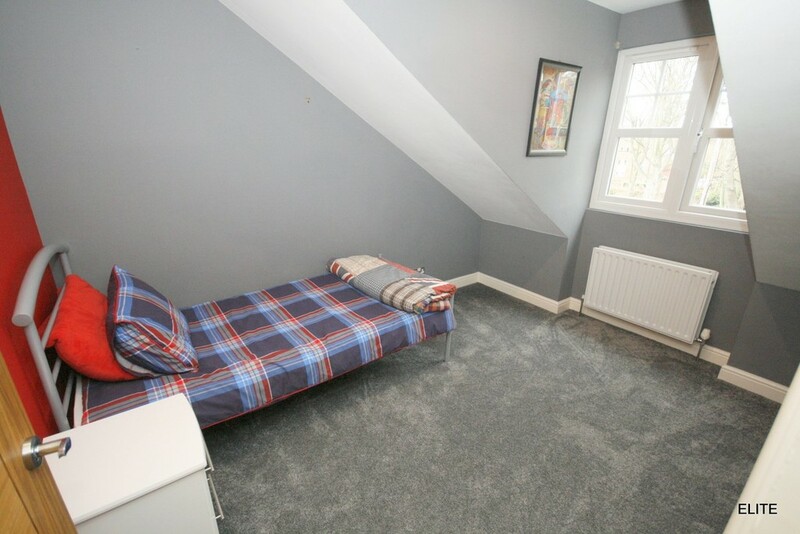 BEDROOM FOUR 15' 4" x 11' 7" (4.696m x 3.553m) An extremely versatile room which one could utilise as a second reception or formal dining room if desired. 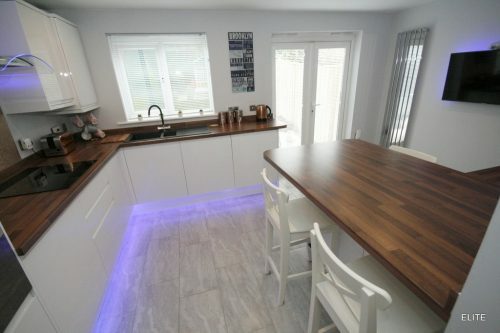 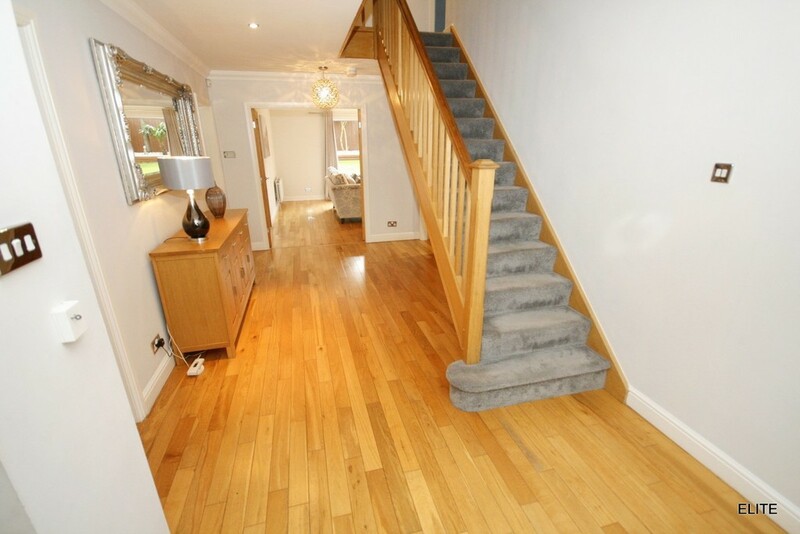 Excellent in proportion complete with solid wood floor, located to the front elevation, decorated in calming tones and spot lights to ceiling. 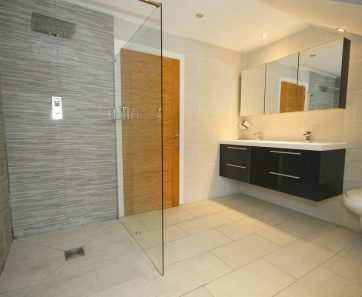 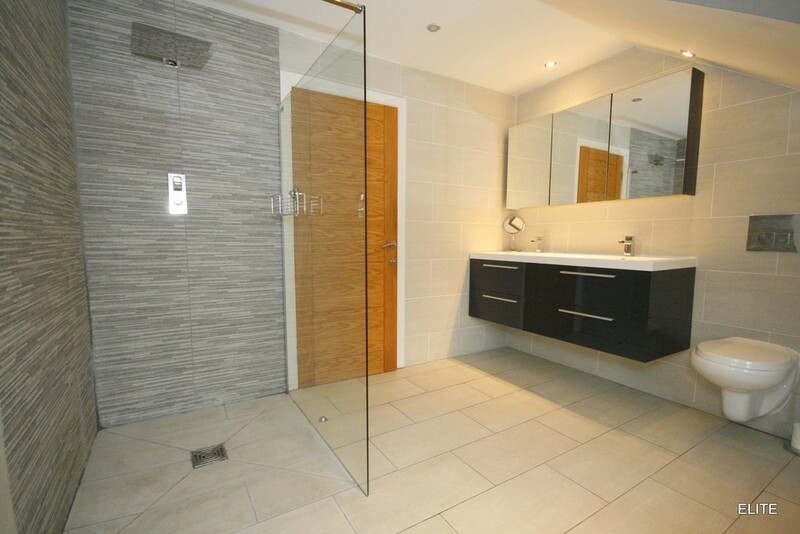 WC Complete with white low level WC, hand basin with stylish polished chrome taps, beautiful ceramic floor tiles and spot lights to ceiling. 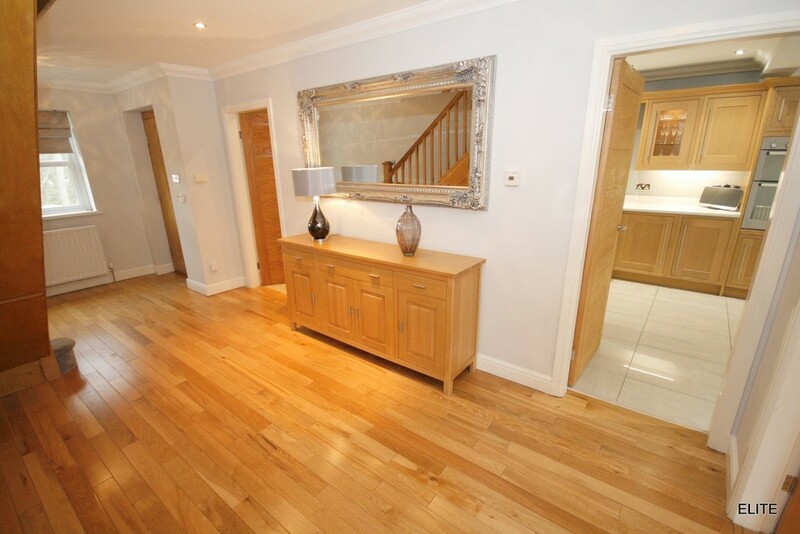 LANDING A gallery landing with doors leading to three further bedrooms, home office/dressing room, or perhaps a single bedroom if required. 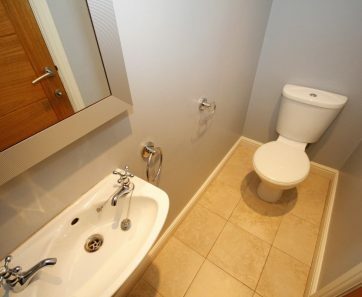 A door also leading to the family bathroom. 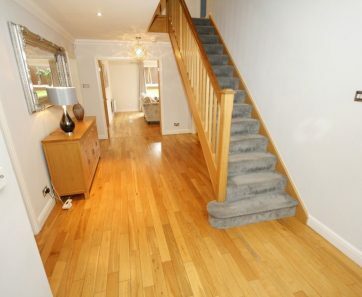 Silver grey carpets and central light. 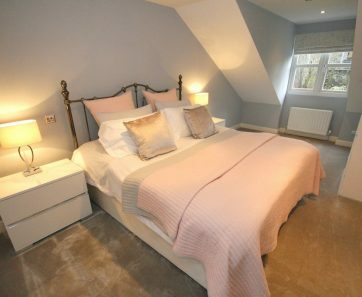 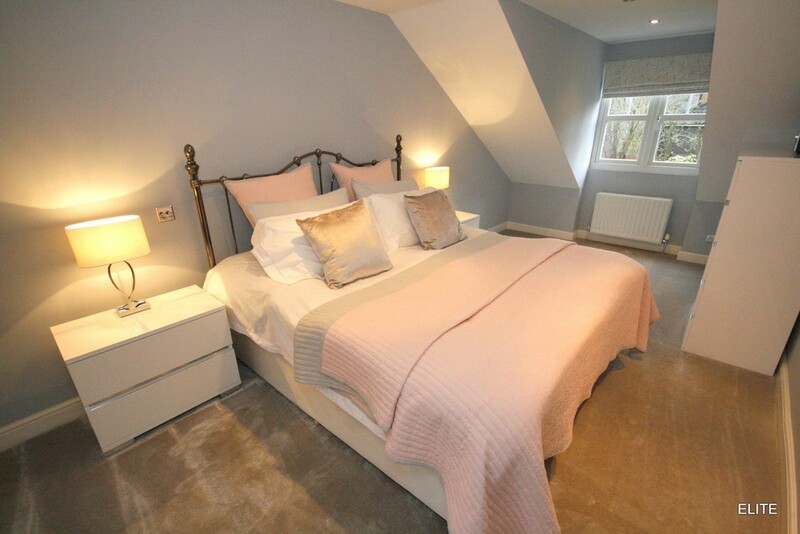 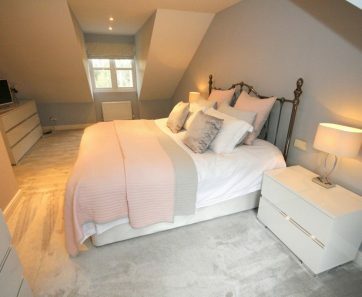 MASTER BEDROOM 24' 1" x 9' 7" (7.355m x 2.938m) A gorgeous master bedroom, beautiful in design with apex roof, dual aspect to front and rear with feature dormer windows, decorated in calming pale grey tones and silver grey carpet, spot lights to ceiling. 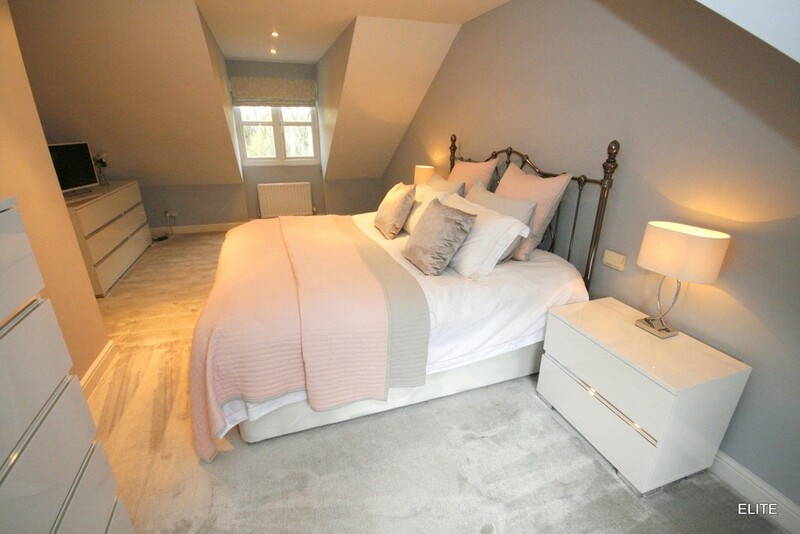 BEDROOM TWO 11' 8" x 11' 7" (3.574m x 3.542m) A superb sized double complete with T-fall roof, dormer style window overlooking the rear garden, beautifully decorated, spot lights to ceiling and wall light. 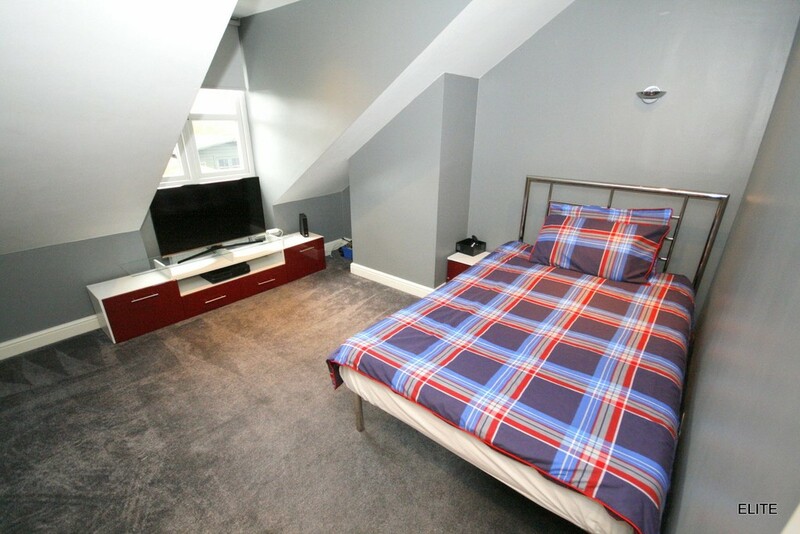 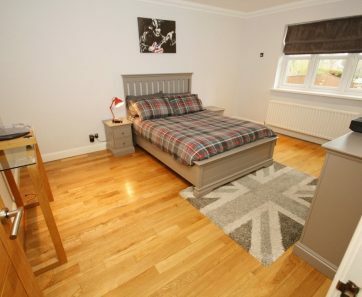 BEDROOM THREE 11' 8" x 11' 6" (3.573m x 3.510m) Excellent in proportion, another superb double bedroom located to the front elevation with views over Back House Park. 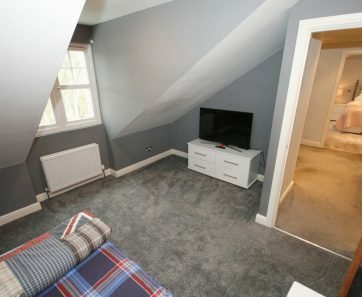 Coving and spot lights to ceiling. 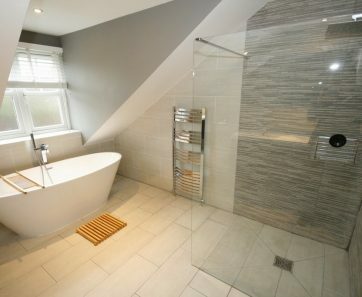 FAMILY BATHROOM 11' 6" x 10' 0" (3.516m x 3.053m) Exceptional in both size and design a rather contemporary feel with a stylish over-size free standing double ended bath, chrome water fall free standing tap with hand held shower, two sinks housed within a stylish vanity/storage unit, walk-in shower with rainwater shower head, floating WC and chrome wall mounted flush, chrome heated towel rail, spot lights to ceiling, fully tiled to wall and floor in beautiful ceramic tiles and feature wall to shower cubicle, dormer style window, exquisite in design. 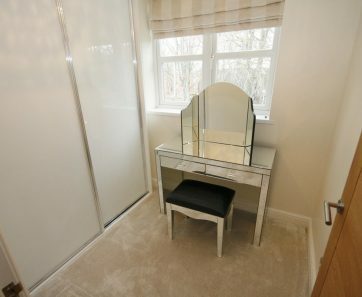 HOME OFFICE/DRESSING ROOM 6' 3" x 6' 0" (1.920m x 1.848m) exc wardrobe storage Utilised as a dressing room, measurements exclude wardrobe/storage so could be a single bedroom if required or the home office. 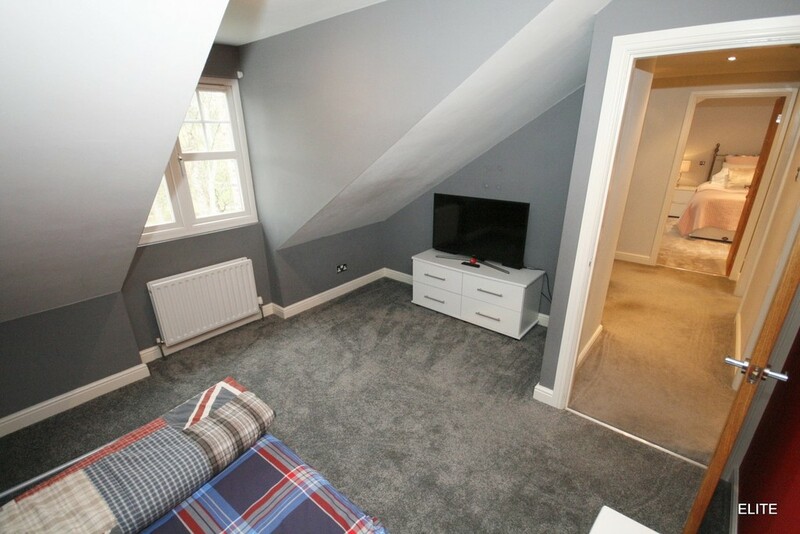 Window overlooking the park, built in sliding door wardrobes, spot lights to ceiling, silver grey carpet. 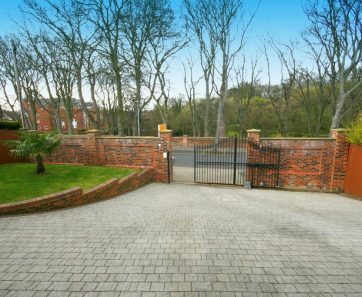 EXTERNAL To the front of this magnificently transformed property there is an electronic gate which leads to the block paved drive for extensive parking. 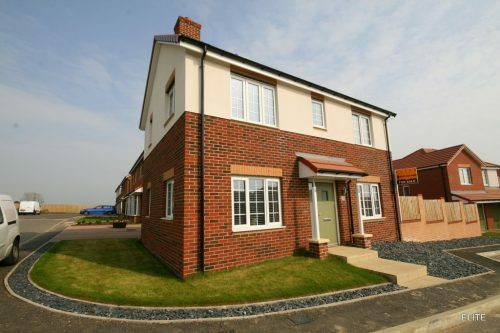 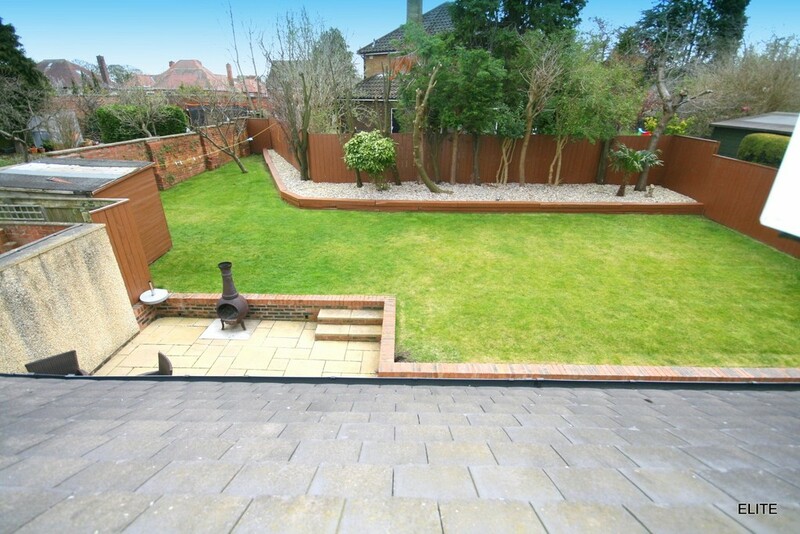 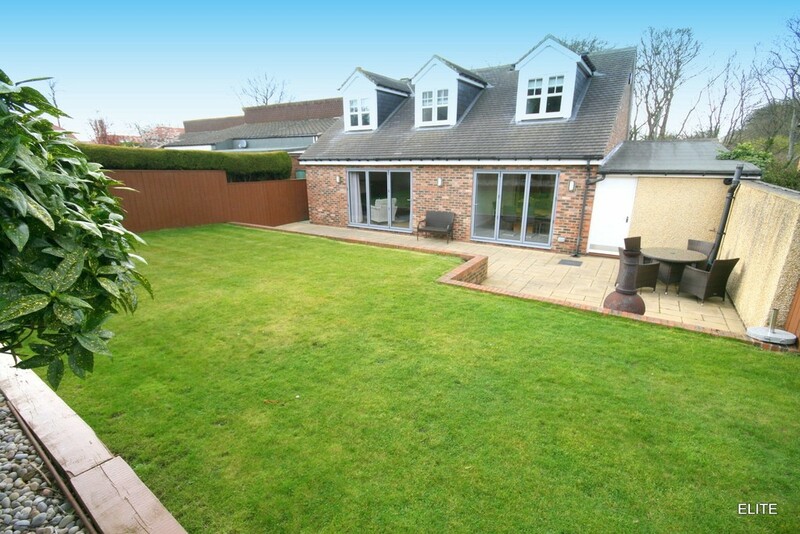 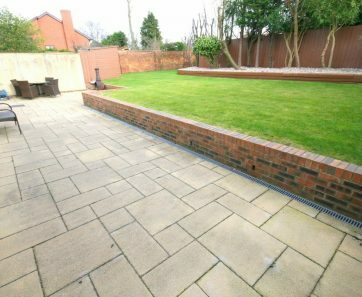 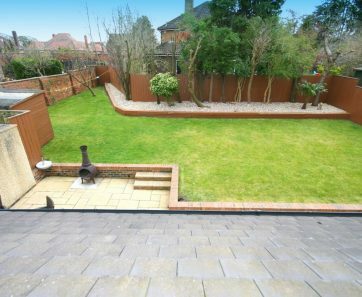 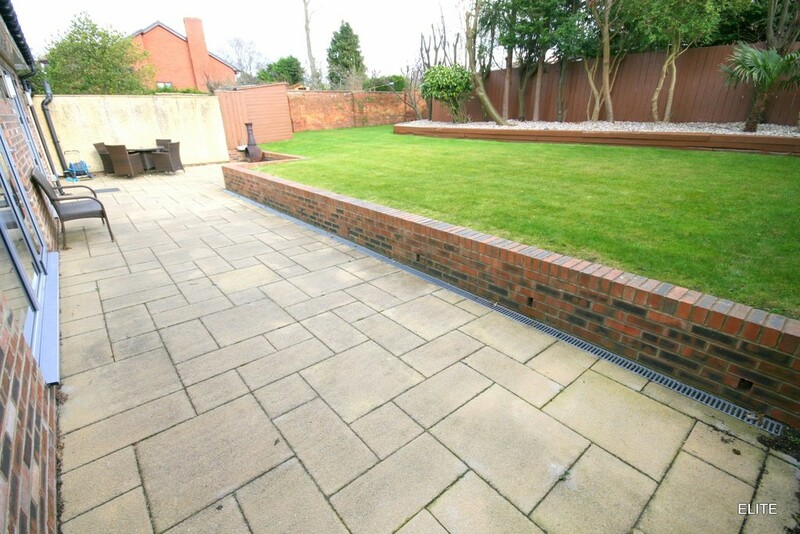 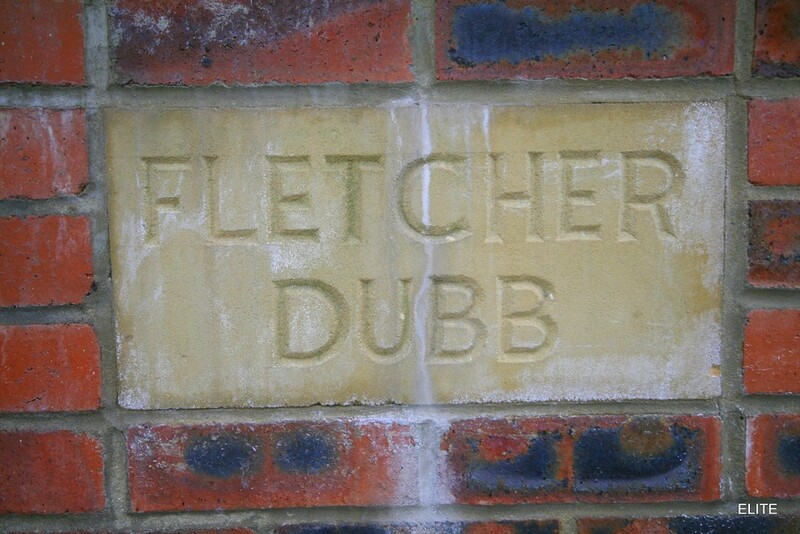 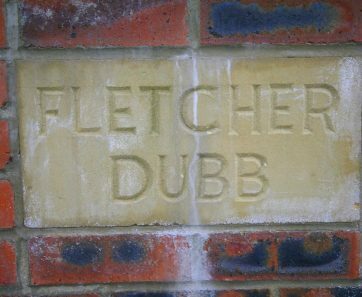 There is a DOUBLE LENGTH garage complete with laundry area to the rear, garden with dwarf wall feature and beautiful views across Back House Park. 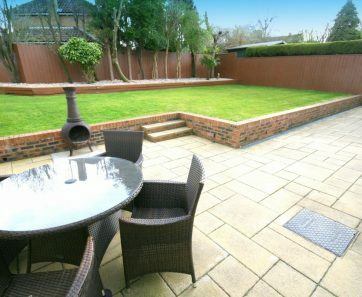 To the rear a fabulous landscaped garden with large Indian stone patio and steps lead to the slightly raised garden which is bordered by fence and trees and not directly overlooked. 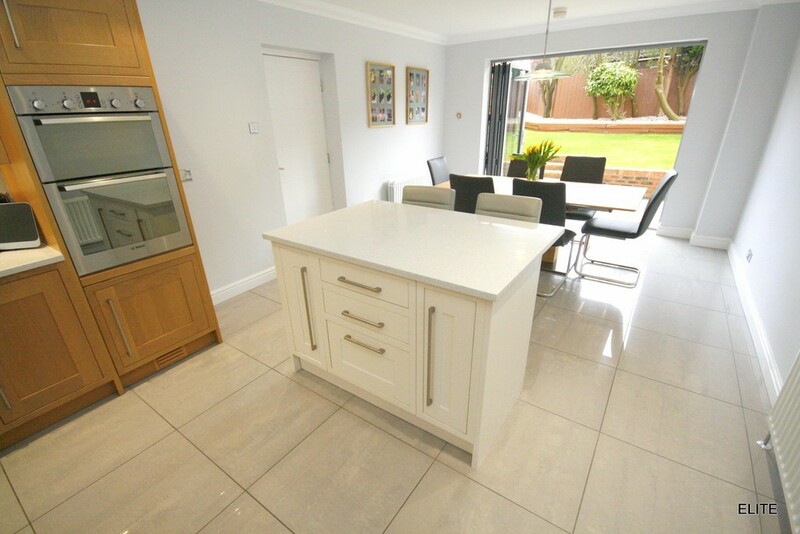 With two sets of bi-folding doors, one from the lounge, the other from the kitchen/diner and superb barbeque space, this makes it fantastic for entertaining and socialising.